Here is a list of terms for 1st and 3rd period students to study for the final exam: Pre_AP final terms. Anyone taking AP next year who has not already seen Mr. B for their summer work, please do so TODAY. You will have a short quiz over Dead Poets Society at the beginning of class tomorrow. On a (possibly) interesting side note, I often suspect songs like this are part of what made me choose to become an English teacher. My parents were huge music fans; records by the Beatles, Simon & Garfunkel, Peter, Paul, & Mary, Bob Dylan, and various other folk and rock artists were always playing in the background during my early childhood. I picked up on my parents’ passion for the music, and in my very young way tried to understand this attachment. I knew there must be more to it than just interesting sounds, so my penchant for seeking symbols and connections in words began. By my late adolescence it had added so much dimension to my life I decided there couldn’t be any more rewarding job than helping others make sense out of the world in the same way. So here I am. What can I say? It’s the end of the year and I’m feeling reflective and sentimental. Lots of changes are on the horizon. Pre-AP students, I hope you are excited about your summer reading assignment for AP Literature & Composition. Just for fun, here’s a photo of me with the author of one of your books! 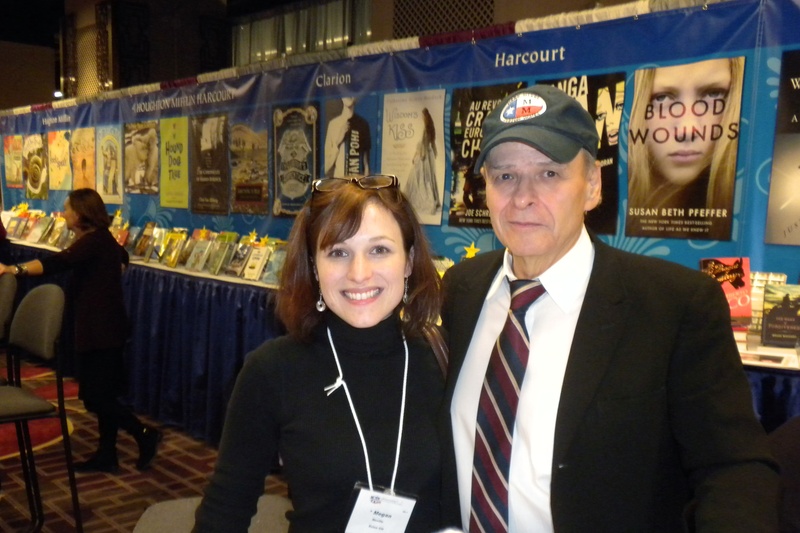 It’s always amazing for me when I meet authors of books I love to teach, but Tim O’Brien was an exceptionally exciting one. He’s a legend, but so human at the same time. Nerds of the World Unite! Nerds of the World Unite!. Please take a moment from all of your nearing-graduation excitement to provide some feedback regarding your experience in my English IV class. Thanks! Here it is. I will gladly answer any questions you have about it after the in-class portion of the test tomorrow.